Bicycle sharing schemes are programs that let you hire an electric bicycle for a certain amount of time without the need to own the bicycle. After you finish using it, you just bring it back to one of the bicycles stations that are spread around. An electric bicycle is a great way to explore a place that you are visiting as a tourist. 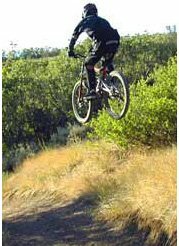 Also, renting a few different electric bicycle can help you determine which e-bike suit you the best. It can help you get a feeling of how is it to really ride an e-bike for a couple of hours or even all day. It is much better then the few minutes test ride that you would usually get at most electric bicycles shops. Moreover, it could take out some of the concerns that usually people have when they try to decide which electric bike to buy. This kind of programs makes more bicycles available for the local citizens, tourists, etc. Some kind of integration with the public transportation is also common. To prevent theft or vandalism, usually the users have to register to the program and provide a photo identification and an ID. The price you need to pay for using one of this shared bike schemes is usually quite low and in most of the cases you even get to use the bike for free in the first 30 minutes or so. There are a lot of cities around the world who installed such a system with varying success, there are also a lot of ways to build such a system. Wikipedia has a really in depth page about it, so log in to read further about it. I want to talk about electric bicycle sharing system. Electric bicycle sharing can really be a game changer. It can really revolutionize the way of transport inside cities. Electric bicycle can be used by anyone, non-fit, elderly, for hill climbing, heavy cargo delivery, you name it! Electric bicycles can integrate beautifully with the public transport infrastructure, making the last few miles from the station to your place of destination more accessible. You can think about it as the missing link in the public transportation system. 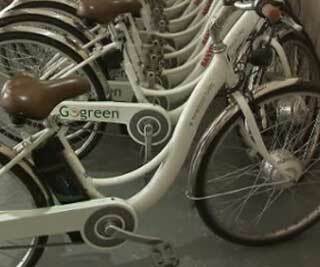 Moreover, universities are great for implementing electric bike sharing services. Click here to read further about active e-bikes program in a number of selected universities. When you bring back the e-bike to one of the stations, the e-bike's battery needs to be charged. Usually it is charged by connecting the charging dock to the power outlet. The charging dock has to recognize the voltage requirement of the specific battery technology of your e-bike. In that way, it can ensures that the battery will be charged as fast as possible while also not causing any harm to it. The amount of power that is being used to charge an e-bike is negligible. Even so, a more environmental way to charging the electric bikes is by using the power of the sun. Kyocera (A solar-cells manufacture), for example, is building a charging station which uses a solar panel to provide energy for the e-bikes. It's called the "Solar Cycle Station". The charging system is also connected to the regular power grid, to ensure a stable service during cloudy weather and for recharging during the night. It is always a good idea to buy the most advanced and strong bicycle locking device and you probably can also implement an insurance program for your e-bike. But there are ways to further decrease the change of theft to begin with. Here is an example of a very sophisticated bicycle station in Japan: Robotized parking facilities. Here is another idea of parking & charging service from Powabyke: Park & Charge. The Socialcycles offers a GPS-enabled bike that you can find and unlock using your mobile phone. And here is another article regarding the social-cycles. Apart from the e-bikes cities sharing programs, you can also enjoy riding an e-bike by simply renting one for a few hours or a couple of days from an electric bicycle shop.